Here at Newport Jets, we pride ourselves on unbeatable quality and excellent customer service. We are committed to delivering the most comfortable and stress-free travel experience possible. Be it for a business trip or personal vacation, you can rest easy knowing that your travel arrangements are in the most capable hands. With our extensive fleet of luxury private jets you can have your pick of jets as large as a Gulfstream G550 or as small as a Learjet 31 and every available size jet in between. You can charter a jet online or call any of our travel specialists to arrange your flight. We specialize in both domestic and international travel, including Miami, Los Angeles, Las Vegas and New York City. Not only will we charter a luxury jet for your use but we will also offer suggestions for five-star accommodations in the area upon your arrival. Miami, located on the Southeastern tip of Florida, is the state’s center for culture, finance, international commerce, and culture and the arts. responsible for the charter flights reserved through Newport Jets for its customers. Newport Jets does not own or operate the aircraft charter upon which our customer’s fly. 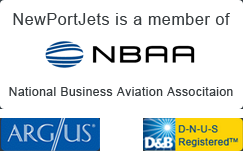 Newport Jets is not a direct or indirect air carrier. All Newport Jets – arranged aircraft charters are operated by Part 135 air carriers. You’ll find the famous Hotel Victor in the heart of the Art Deco District in South Beach, near the Versace Mansion. The hotel is an intimate boutique hotel with the beauty and sophistication of the 1930’s, in grand Parisian style. Experience the chic sophistication of The Ritz-Carlton South Beach, located near the finest dining, shopping and nightlife.